To tackle the multiple responsibilities of grounds maintenance, you require durable, dependable, hard-working equipment. Our reels are constructed of high-quality materials to ensure years of reliable service with minimal routine maintenance. 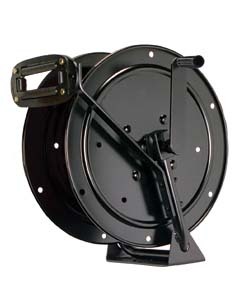 Every reel is designed and built for your industry and to your exact specs – never retrofitted to the job – so you can expect unsurpassed fit and function. 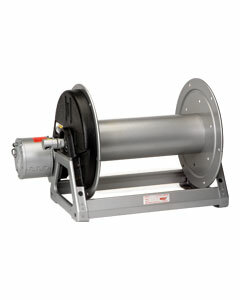 Manual or power rewind reels to handle single 3/8" through 5/8" I.D. hose. 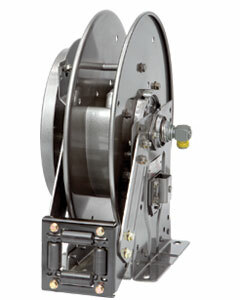 Manual rewind reels to handle single 3/8" and 1/2" I.D. hose. 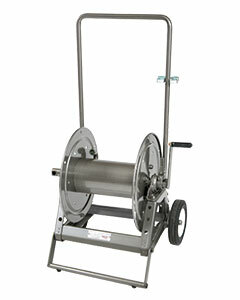 Spring rewind reels to handle 1/4" through 1/2" I.D. hose. 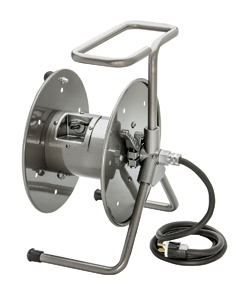 Portable hose reels on wheels to handle 3/8" through 5/8" I.D. hose.